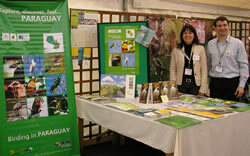 World Land Trust attended the Birdfair again this year, in our usual place in Marquee 4, where WLT staff and representatives from our partner organisations REGUA (Brazil) and Guyra Paraguay provided interested visitors with all the latest information on how we are saving critically threatened habitats and their wildlife. Birdfair has teamed up with World Land Trust to work towards a carbon balanced Birdfair. 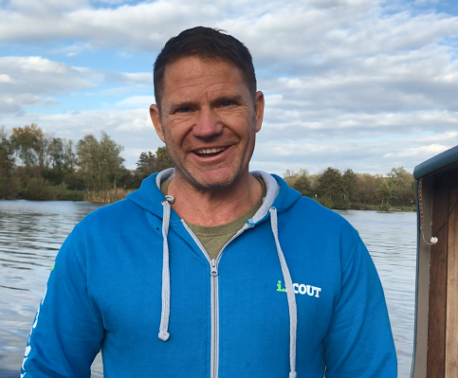 Over the next few months Birdfair and World Land Trust will be working together towards reducing carbon dioxide emissions where possible and to act responsibly and offset unavoidable emissions in time for the 2008 Fair. Read more on the official Birdfair website: Working towards a Carbon Balanced Birdfair.